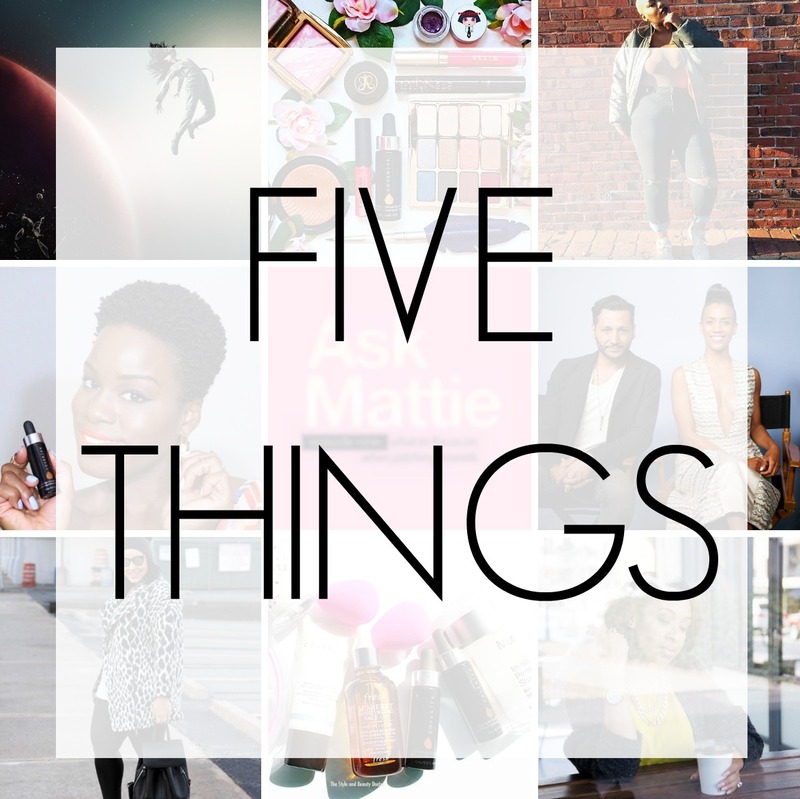 When I first started this blog I did a few 5 Things posts, I always loved the idea, (got it from a fellow Blogger) because in a way its like a diary. A way to chronicle what will be the antidote for those moments when you look back at an old photo and wonder what you were thinking. This will be the first installment of hopefully seven more in 2016. Right now I am into off duty Chic, its an area that is challenging for me personally. I am one of those people who is either dressed to the nines or looking homeless ( ask my co workers) .The biggest thing that has helped is changing my shopping habits spending more money on everyday gear (Basics, cute Lounge Wear) rather than Fancy Frocks. I am always on the hunt for inspiration, which is why I love this Look. I am a creature of habit so my makeup routine hasn’t changed much ( see fav products Here). However I am intrigued by these Custom Drops that recently hit the market. Currently I use/mix two foundations because I have hyper pigmentation. These Drops would revolutionize my make up routine because then I would only need one. 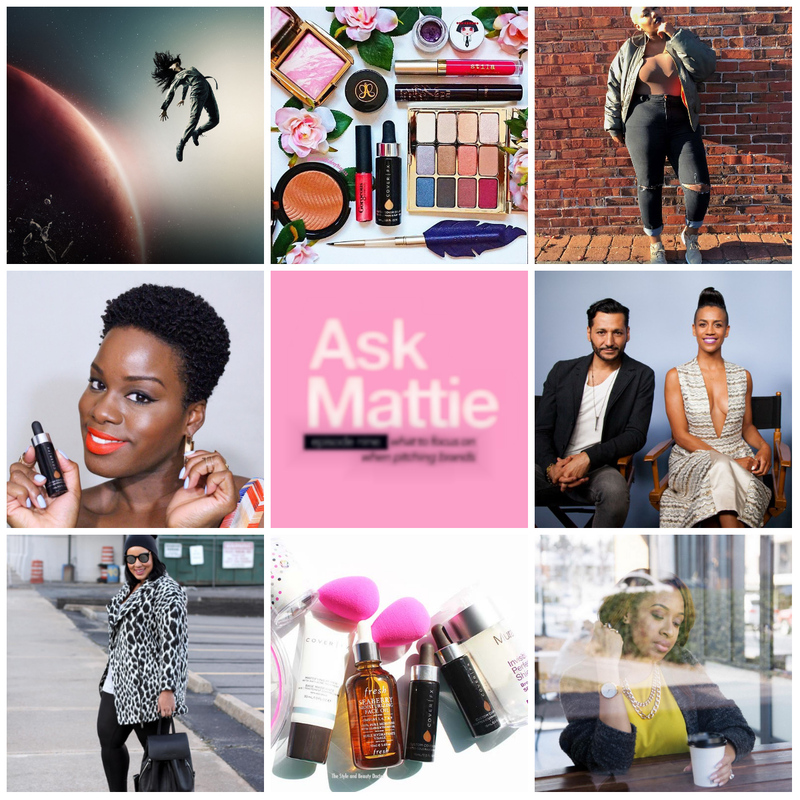 If your following me on Instagram you know I raved a few weeks ago about Mattie, I visited her blog ( actually binge listening to her Podcasts) recently and realized it was a goldmine. Lets just say if you are blogger or want to be one she shares some great insight ( tools, tips, & advice); so if you start noticing some changes, it is because I am committed to making Supplechic better in 2016. If you know me personally you know I dont play with my TV Shows, right now I have three shows I tune into religiously. However since I am forcing my self to pick one I would say my favorite show is Expanse its based on a Book Series. What drew me in was the mystery, If you like Game of Thrones and dont mind SciFi you will definitely like this show ( season one is over so you can binge watch it). Finally I recently did a Date Night themed collab with Eloquii on Youtube, If you havnt checked it out you can Here your support would mean so much. If you havnt Subscribed you can Here its totally FREE, once you do my videos will be on your feed anytime I make them. Psst…… what are you excited about right now ( books, blogs, make up, trends e.t.c)? Share with us in the comments below! !